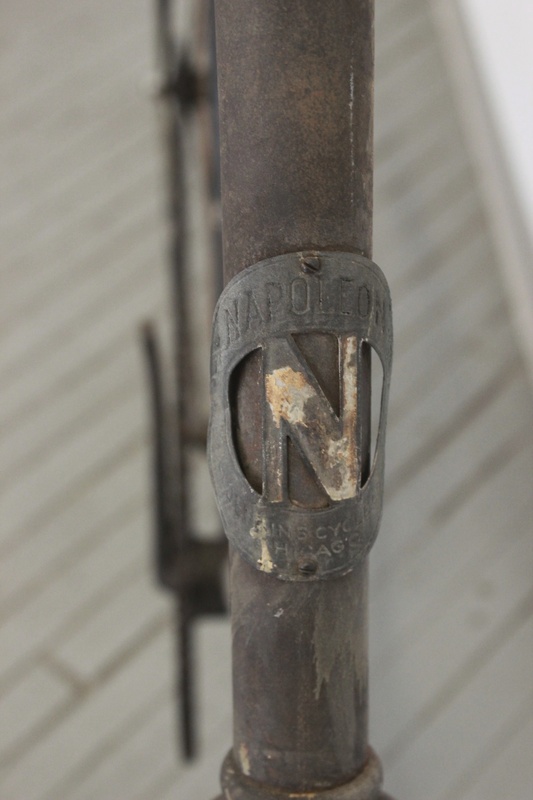 Dorsetfinds's Blog | 20th Century collectibles unearthed. Iconic Americana brands share a number of similar characteristics: innovation, good design, value and quality. Aside from these factors, truly enduring brands become synonymous with the items they sell. Coca-Cola, Levi’s, Chevrolet, Harley-Davidson and Mobil Oil are easily identifiable, partly due to the narrative that comes rolled into the fabric of each brand; Levi’s represents comfortable work wear, Coke is a joyful experience, and Harley-Davidson equals freedom. 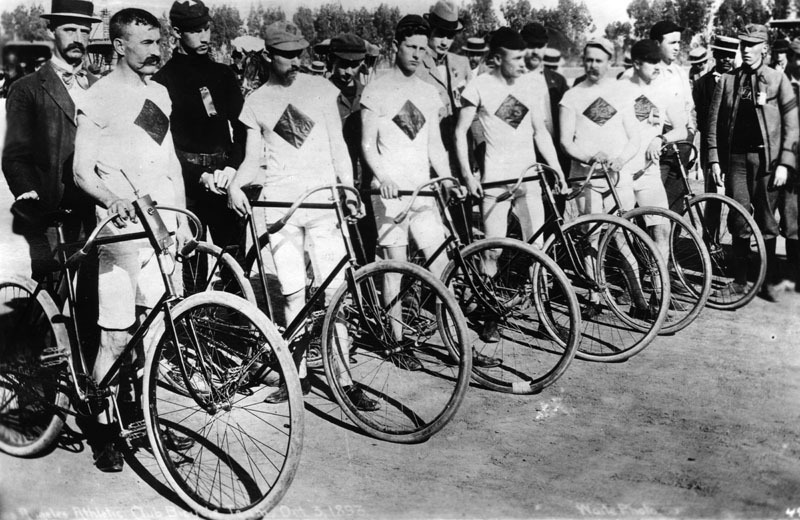 In 1895 the Schwinn Bicycle Company opened its doors in Chicago, a city quickly becoming the hub of cycling production in the U.S. Its founders were German-American immigrants Ignaz Schwinn, an engineer who had built bicycles in Europe, and Adolph Arnold, a meat-packer who bankrolled the business’s start. 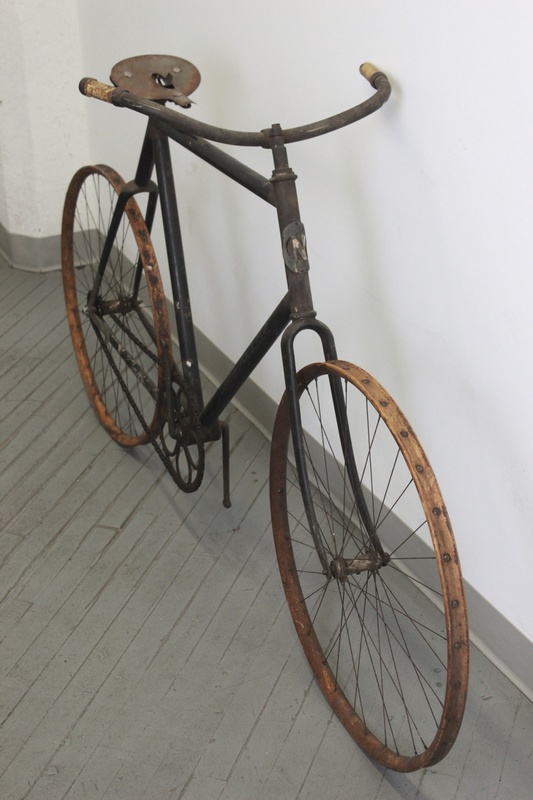 Though a bicycle boom was underway, the following years presented challenges such as the rise of the automobile in the early 1900s, the Depression of the late 1920s and the growing influx of lighter-weight British-made bicycles in the 1940s. 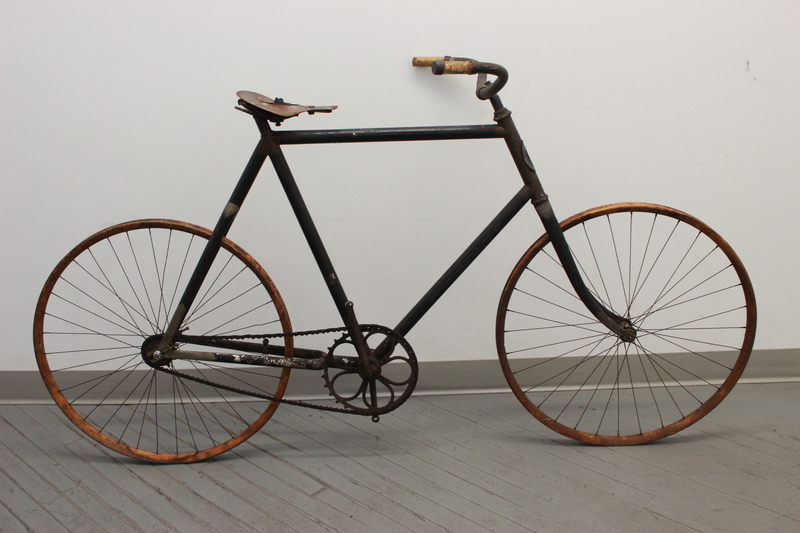 Nevertheless, Schwinn remained competitive, striking a balance between innovative design and low-cost production. In 1934 it released the AeroCycle, which soon became known as the Paperboy or Cruiser. It featured wide balloon tires, a push-button bell and an imitation gas tank. Competitors quickly followed suit and rushed similar models to market. 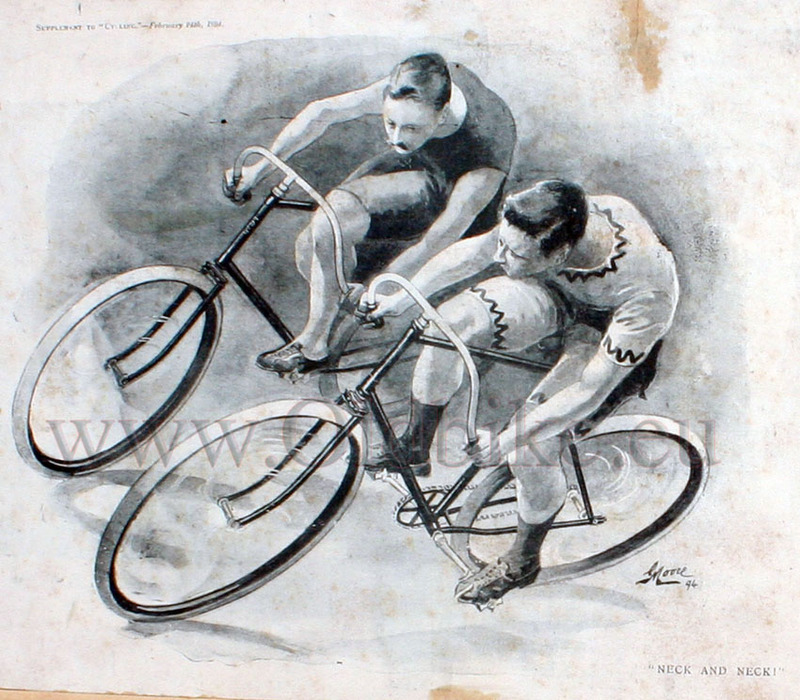 Before long, this design became the standard of bicycle styling. Marketing and merchandising were also key to the company’s success. 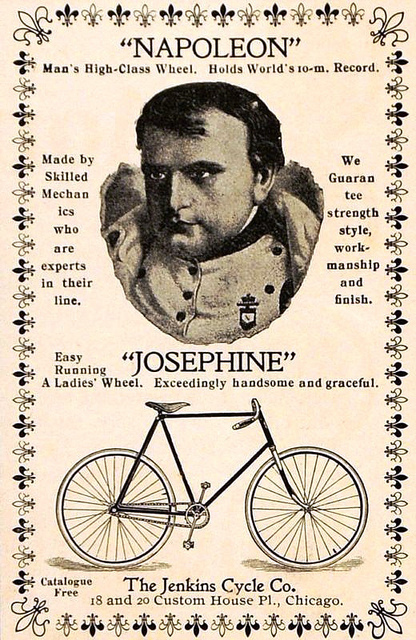 In the 1950s, in particular, Schwinn began scaling back its agreements with department stores that were re-branding its bikes to sell in-house; instead, it encouraged bike shops to stock Schwinn products exclusively. 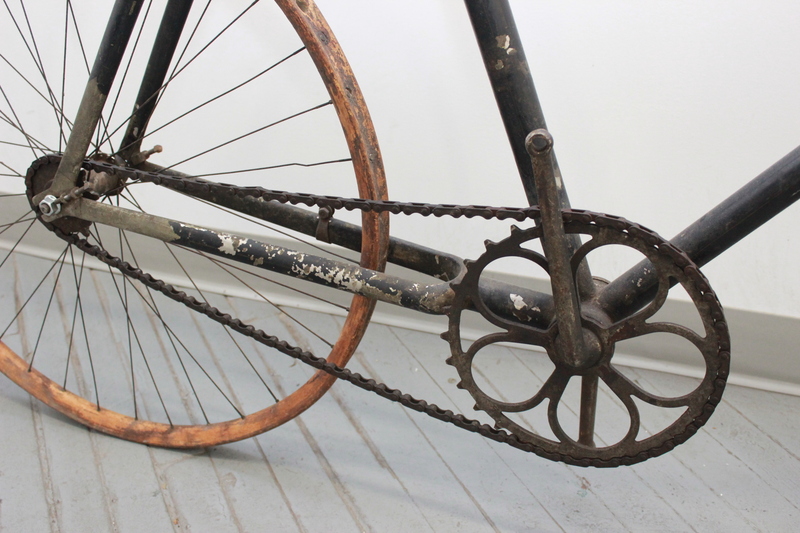 Such retail partners also carried a selection of genuine Schwinn-made parts and accessories to complement and ensure the long life of the bicycles. Extra-large parts cabinets like the one pictured were uncommon and generally found in larger, flagship-level stores. 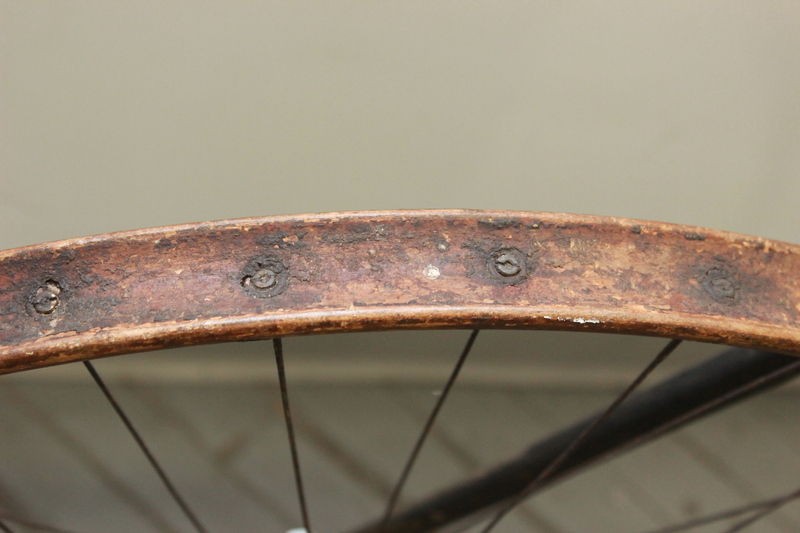 This item would have sat pride-of-place on a bike shop’s counter as a utilitarian piece housing various Schwinn parts according to their serial numbers. The door can be raised to allow access to the inner, flat work surface, and the divided drawers below are easy to reach. Free of dents, this chest boasts its original handles and clear, sharp graphics on both the outside and inside. While admired today for their aesthetics, vintage and antique industrial furniture was considered utilitarian in its day. It was built using durable materials and therefore fabricated to withstand considerable punishment. Though it is appealing to unearth an unusual piece like this shop bench, it is doubly worthy of attention when the item possesses its original and untouched configuration and presents in superb condition. The Industrial Workbench and Equipment Manufacturing Company was a later incarnation of The New Britain Machine Company, headquartered in New Britain, CT. They began churning out heavy-duty industrial furniture at the beginning of the 20th century and by the 1940s were known as, I.B. (Industrial Bench). The olive hew finish of their products was even referred to as, “IB Green”. The discussion of quality is a common thread when referencing items of this era and I.B. prided themselves on creating equipment of a higher standard than many of their peers. The heavy-gauge tubular steel leg sections are welded together, making a single-piece, rigid leg. This results in less sway, irrespective of whether or not the table rests against a wall. The legs and expansive feet are totally closed thus ensuring that dust and other unwanted waste does not accumulate in cracks and crevasses. A variety of optional extras existed including, rear and side plates (to ensure that materials did not fall from the work surface), maple or plain steel tops, lower shelf and drawers, complete with sliding inner tray. This clean, original example not only possesses its factory configuration, including a drawer and lower shelf, the IB Green finish is excellent and the maker’s labels are clear and visible on the trademarked positioning of the two front legs. *Special thanks to the Smithsonian Institution Archives and the National Museum of American History Library for their generous contributions to this post.